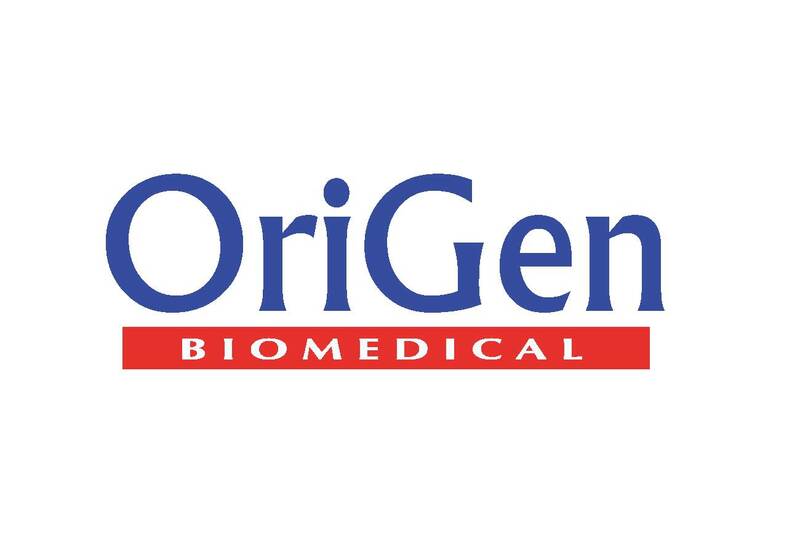 Don't forget to use the hashtag #TMM2018 for a chance to win Tweet of the Day prizes sponsored by OriGen Biomedical. 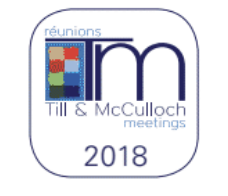 Download our official conference mobile app "2018TMM" from the app store or browse the app online at www.eventmobi.com/2018tmm and view up to date speaker profiles, abstract listings, maps and the conference agenda. Login using the email you registered with and you're ready to go! The App is provided to you as-is without any guarantee and you use it at your own risk. The App contains material which is owned by or licensed to us, so you should not copy them without obtaining permission from the authorized owner. Any data you submit to the App may be publicly viewable. You are responsible for the security of Personal Data of other participants provided to you when you use the App. You can find out what data we collect and how it is used in our Privacy Notice. YOU ACKNOWLEDGE AND AGREE THAT THE APP AND ITS CONTENTS ARE PROVIDED ON AN “AS IS”, “AS AVAILABLE” BASIS AND WE DO NOT MAKE ANY, AND HEREBY SPECIFICALLY DISCLAIM ANY, REPRESENTATIONS, ENDORSEMENTS, GUARANTEES, OR WARRANTIES, EXPRESS OR IMPLIED, REGARDING THE APP OR ITS CONTENTS, INCLUDING, WITHOUT LIMITATION, ANY REGARDING OR ARISING FROM: (I) MERCHANTABILITY, FITNESS FOR A PARTICULAR PURPOSE, TITLE, OR NONINFRINGEMENT OF INTELLECTUAL PROPERTY RIGHTS; (II) COURSE OF DEALING, COURSE OF USAGE, OR COURSE OF PERFORMANCE; OR (III) TIMELINESS, ACCURACY, RELIABILITY OR CONTENT OF THE APP AND ANY INFORMATION PROVIDED THROUGH THE APP UNDER THIS AGREEMENT. WE ARE NOT LIABLE FOR DIRECT, INDIRECT, INCIDENTAL, CONSEQUENTIAL, SPECIAL, PUNITIVE, EXEMPLARY, OR ANY OTHER DAMAGES (COLLECTIVELY, THE “DAMAGES”), ARISING OUT OF YOUR USE OR INABILITY TO USE THE APP. THIS PROVISION ENTITLED “LIMITATION OF LIABILITY” APPLIES REGARDLESS OF: (A) OUR NEGLIGENCE; (B) OUR GROSS NEGLIGENCE; (C) ANY FAILURE OF AN ESSENTIAL PURPOSE; AND (D) WHETHER SUCH LIABILITY ARISES IN NEGLIGENCE, CONTRACT, TORT, OR ANY OTHER THEORY OF LEGAL LIABILITY. THIS PROVISION ENTITLED “LIMITATION OF LIABILITY” APPLIES EVEN IF WE HAVE BEEN ADVISED OF THE POSSIBILITY OF OR COULD HAVE FORESEEN THE DAMAGES. IN THOSE STATES THAT DO NOT ALLOW THE EXCLUSION OR LIMITATION OF LIABILITY FOR THE DAMAGES, OUR LIABILITY IS LIMITED TO THE FULLEST POSSIBLE EXTENT PERMITTED BY LAW. WE ARE NOT RESPONSIBLE AND NOT LIABLE FOR ANY INFORMATION, PRODUCTS, OR SERVICES PROVIDED BY OTHER WEB SITES THAT LINK TO OR FROM THE APP. 4. YOUR USE OF THE APP. 4.1 Your Right to Use the App. We grant you a non-exclusive, personal, and revocable right to access the App. You are responsible for protecting the confidentiality of your password(s), and for the acts and omissions of any third party that accesses the App through use of your password, as if such acts and omissions were your own. 4.3 Protection of Personal Data. You may be provided with Personal Data of other users when using the App. You are responsible for protecting any Personal Data provided to you when you use the App. You agree not to make copies of any Personal Data provided to you within the App or to make use of such Personal Data other than those uses provided by the App. 4.4 Changes to the App and Premium Features. We shall have the right at any time to change or discontinue any aspect or feature of the App, including, but not limited to, content, hours of availability, and equipment needed for access or use. We reserve the right, in our sole discretion, to update or modify these Terms at any time ("modifications"). Modifications to these Terms will be posted with a change to the "Updated" date at the top of this page. In certain circumstances we may, but need not, provide you with additional notice of such modifications, including by email. Modifications will be effective thirty (30) days following the "Updated" date or such other date as communicated in any other notice to you. Please review these Terms periodically. These Terms were updated on the date indicated above. Your continued participation in the event and use of the app following the effectiveness of any modifications to these Terms constitutes acceptance of those modifications. If any modification to these Terms is not acceptable to you, you should cease accessing, browsing and otherwise using the app. Please note that access to premium App features may be subject to a fee and additional agreement(s), which we will provide to you for your approval before charging you. You must obtain, pay for and maintain all software, hardware and anything else needed to use the App. You shall use the App for lawful purposes only. The App contains copyrighted material, trademarks and other proprietary information, which may include, but is not limited to, text, software, photos, video, graphics, music and sound. We own a copyright in the selection, coordination, arrangement and enhancement of such content, as well as in the content original, granted or assigned to us. You may not modify, publish, transmit, participate in the transfer or sale of, create derivative works, publicly distribute, publicly display, reproduce, publicly perform, or in any way exploit in any format whatsoever (including, without limitation, print and electronic formats) any of the App content, without our prior written authorization. This material includes, but is not limited to, the design, layout, look, appearance and graphics. You acknowledge that you do not acquire any ownership rights by downloading copyrighted material. 7.3 Works and Material You Submit to the App. You shall not upload, post or otherwise make available on the App any works or material protected by copyright, trademark or other proprietary right without the express written permission of the owner of the copyright, trademark or other proprietary right and the burden of determining that any works or material are not so protected rests entirely with you. You are liable for any damage resulting from any infringement of copyrights, trademarks, or other proprietary rights, or any other harm resulting from such a submission. 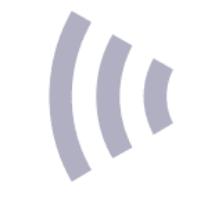 For all works or material submitted by you to the App, you automatically grant, or warrant that the owner of such material has expressly granted, us a royalty-free, perpetual, irrevocable, worldwide, fully-paid up license to use, reproduce, create derivative works, publicly distribute, publicly perform, publicly display, assume any sound recording rights or moral rights of attribution or integrity, transmit, modify, adapt, publish, translate and distribute such material (in whole or in part) worldwide and/or to incorporate it in other works in any form, media or technology now known or hereafter developed (including, without limitation, print and electronic form, media and technology) for the full term of any copyright that may exist in such works or materials. Except as limited under applicable law, and subject to any functionality on the App allowing you to restrict access, you also permit any other App user to access, view, store or reproduce the works or materials consistent with the provision entitled “Your Right to Use the App". 7.4 No Unauthorized Access and Unauthorized Activities on the App. All trademarks appearing on the App are the property of their respective owners. You gain no rights of any nature whatsoever in trademarks, service marks or trade names found in the App through your use of the App. 11. NO ENDORSEMENT OF APP CONTENT. We neither endorse nor are responsible for the accuracy or reliability of any opinion, advice or statement made on or off the App by anyone other than one of our authorized employee spokespersons while acting in their official capacities. It is the responsibility of you to evaluate the accuracy, completeness or usefulness of any information, opinion, advice or other content available through the App or through a App user. Advice of a professional may be necessary for you regarding the evaluation of any specific information, opinion, advice or other content. Entire Agreement and Amendments. This Agreement is the entire agreement between us and supersedes all earlier and simultaneous agreements regarding the subject matter. No Waivers, Cumulative Remedies. Our failure to insist upon strict performance of any provision of this Agreement is not a waiver of any of our rights under this Agreement. All of our remedies under this Agreement, at Law or in equity, are cumulative and nonexclusive. Severability: If any portion of this Agreement is held to be unenforceable, the unenforceable portion must be construed as nearly as possible to reflect our original intent, the remaining portions remain in full force and effect, and the unenforceable portion remains enforceable in all other contexts and jurisdictions. Captions and Plural Terms: All captions are for purposes of convenience only and are not to be used in interpretation or enforcement of this Agreement. Terms defined in the singular have the same meaning in the plural and vice versa.